Peppa’s Secret Surprise has lots of secrets tucked inside. Unwrap it to reveal a surprise present box, with six different surprise presents hidden away. 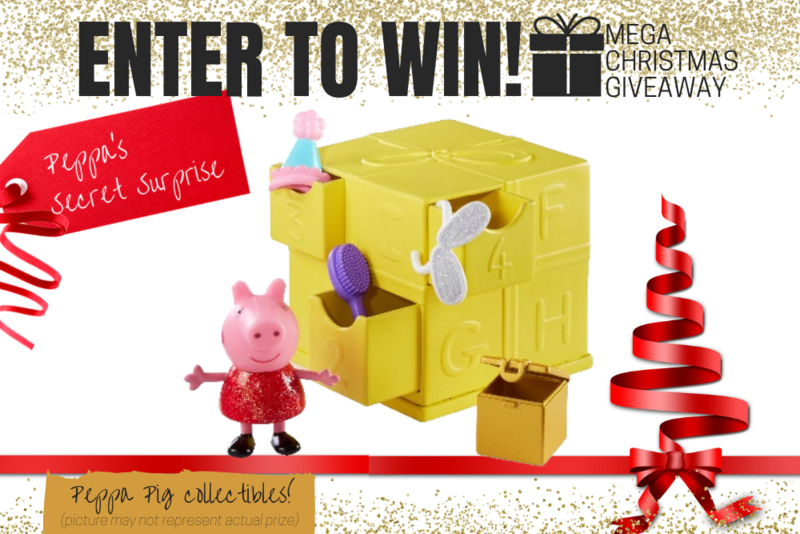 Peppa’s Secret Surprise present box is reusable, so you can store everything neatly inside when you’re finished playing. There are six different figures to collect for super Peppa fans. Suitable for children aged 3 years and over from Big W, Myer, Toyworld, Kidstuff and independent retailers. All prizes to be collected by 5pm Thursday 20th December 2018 – just in time for Christmas! 1. **Peppa Pig - Peppa's Secret Surprise. Total Prize Value $20.00** AUD (the "Prize"). 2. It is the responsibility of the winner to collect the Prize within 7 days of the end of the Competition Period from the Promoter’s Mornington office. 3. The Prize, or any part thereof, must be accepted as awarded and is non-negotiable, non-transferable to another person and non-convertible and is not transferable for cash. 4. The prize must be collected from the Promotors Mornington Office, unless otherwise advised.